Fiery Juventus defender Medhi Benatia took centre stage Thursday as Morocco coach Herve Renard named his 23-man squad for the World Cup, while Ahly striker Walid Azaro has been left out. 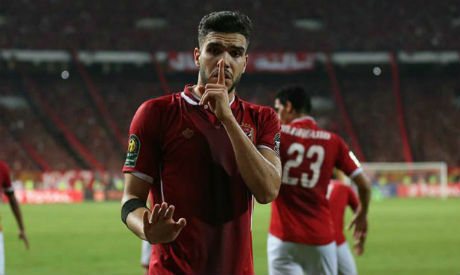 The 22-year old speedy striker has been in a blistering form with the Red Devils having scored 22 goals in all competitions, including 18 in the league to claim the Egyptian Premier League top scorer award. he has been initially included in the provisional squad by coach Herve Renard before being dropped on Thursday. Benatia, fresh from helping Juventus to the Italian league-cup double, is one of 19 players in the squad who ply their trade in Europe. He seems set to be not too far from the headlines in Russia after a dramatic campaign in Italy which saw club coach Massimiliano Allegri telling him to "shut up" during a match. It was also former Bayern Munich star Benatia who conceded the controversial late penalty which gave Real Madrid a place in the Champions League semi-finals at the expense of the Italians in April. Morocco are in Group B at the World Cup finals which get underway on June 14 along with Spain, Portugal and Iran. Morocco last played at the World Cup in 1998. Forwards: Khalid Boutaib (Malatyaspor/TUR), Aziz Bouhaddouz (Saint Pauli/GER), Ayoub El Kaabi (RSB/MAR), Mehdi Carcela (Standard Liege/BEL), Hakim Ziyech (Ajax Amsterdam/NED).